Whispering Glen homes are located in the Turtle Ridge area of Irvine, California. The Whispering Glen community was built between 2003 to 2006 and features two to three bedroom condos that range in size from 1,200 to 1,850 square feet. Whispering Glen homes have beautiful Mediterranean style architecture with smooth stucco walls and red clay tiles. The community is not located behind the gated in Turtle Ridge but offers a prime location near the city limits of Newport Beach with easy access to the 405 freeway. 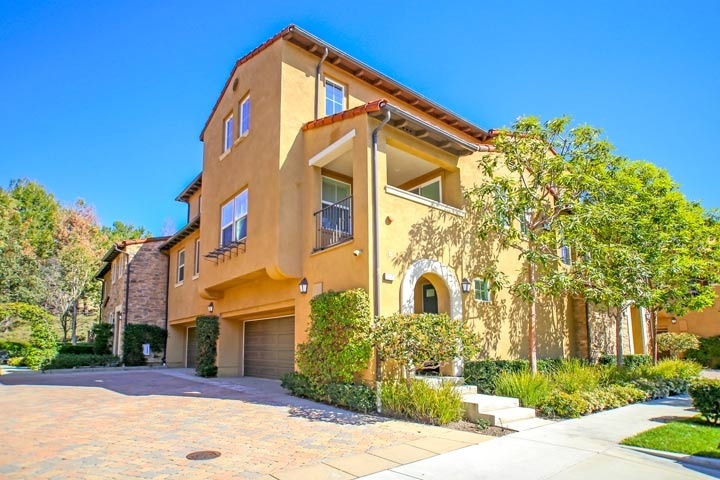 Below are the current Whispering Glen condos for sale and for lease in Irvine. Please contact us at 1-888-990-7111 with any questions about this community and any of the homes listed for sale here.